Turquoise is a phosphate mineral which most commonly forms as minute crystals, and occurs chiefly as veins and nodules in rocks in arid regions. Its superb blue color is due to presence of copper (Cu) and occasional traces of iron (Fe) causes the greenish tint. Bluish-green stones are less valued than the sky blue variety. Turquoise is reputed to have been derived from the French pierre turquoise or in old French tourques, which means ‘Turkey stone’, not because the stone came from Turkey, but because the Persian material entered to Europe by way of Turkey. 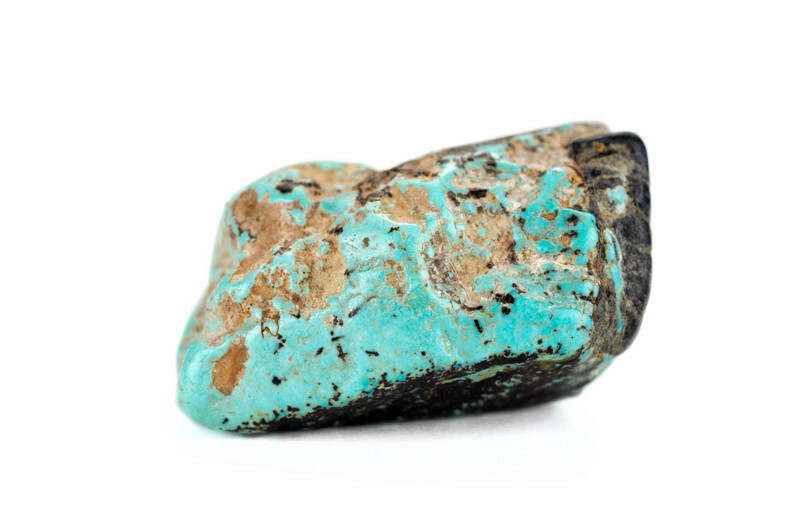 Turquoise was one of the first gems to be mined. It was known by 3000BC and possibly prior to the first Dynasty of ancient Egypt. Turquoise can be confused with, amazonite, odontolite, lazulite, variscite, and hemimorphie. 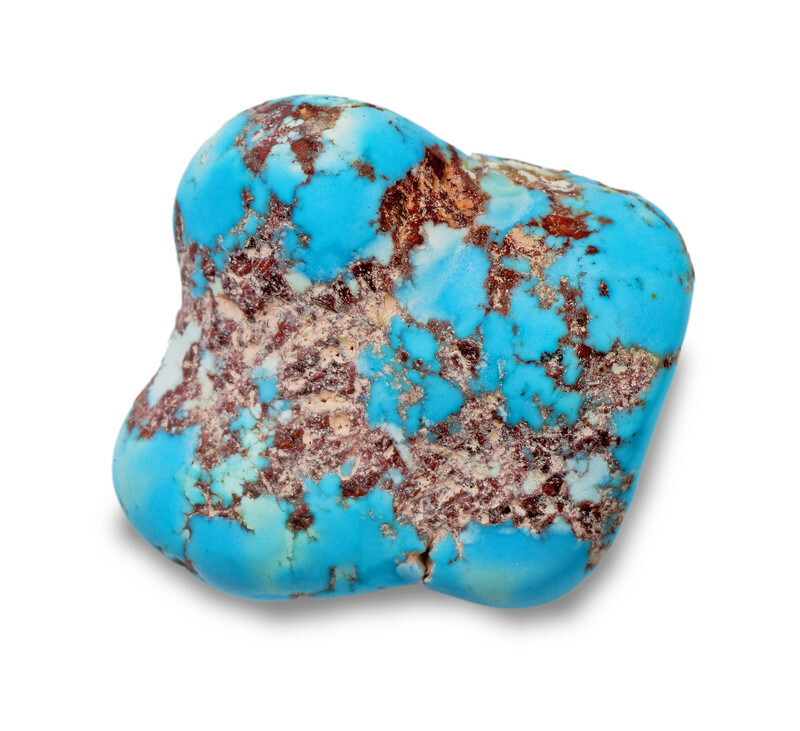 Turquoise Gemstone is formed by the action of percolating ground-waters in aluminium-bearing rocks containing copper. The finest Turquoise Gemstone comes from Nishabur area in Iran. However the Iranian material virtually mined out now and so is very rare and valuable. Now USA produces the best Turquoise. It is also found in Afghanistan, Australia, Brazil, Chile, China, Mexico, Russia, and Tanzania. You can find our interactive map for gemstone of the world Here. Unfortunately, much of the turquoise that comes out of the mines is pale and has a rather greenish tinge which is not as attractive. 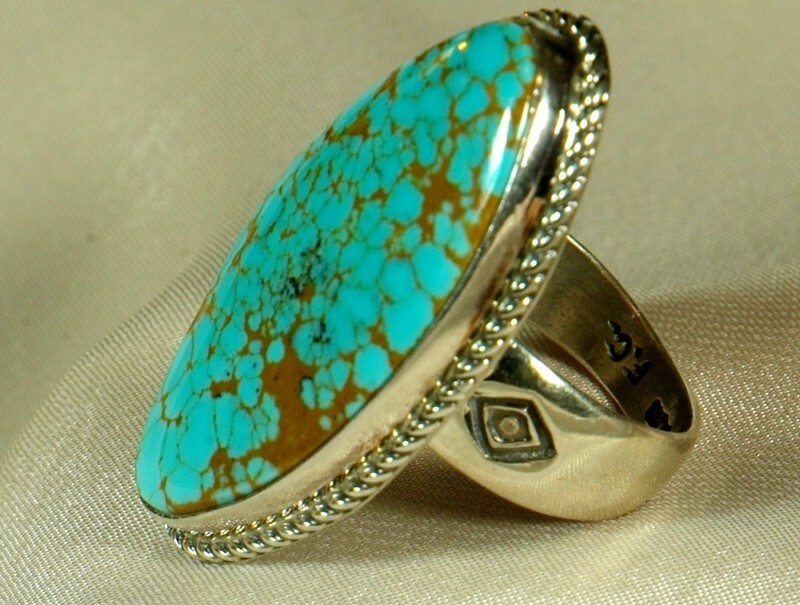 Therefore, depending on the quality of Turquoise Gemstone three main techniques is used to bring the quality of the gemstone up to be acceptable levels. 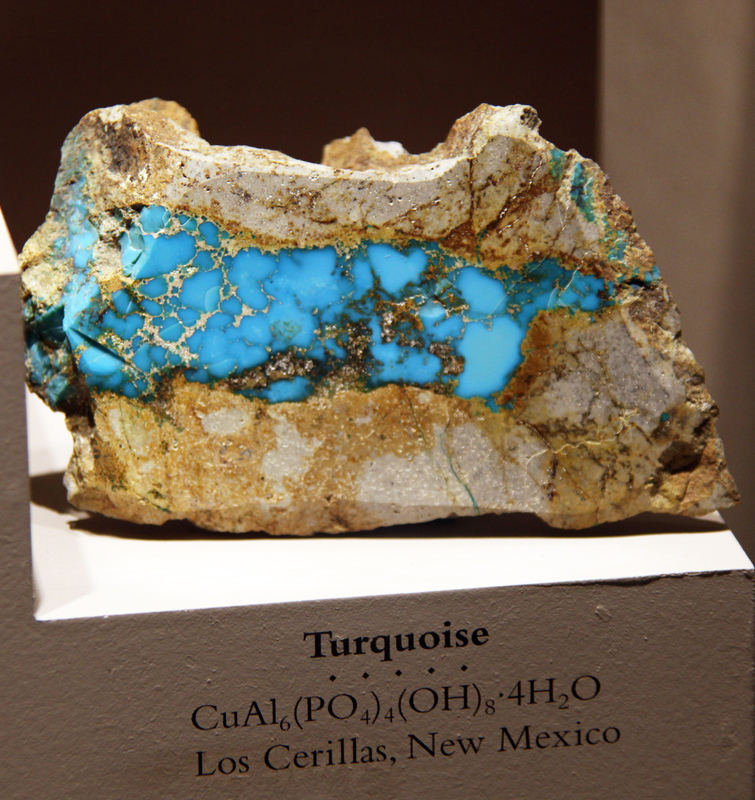 These are 1) reconstructing or pressing turquoise; turquoise powder and small chips are bonded with liquid plastic resin, dyed and then baked, 2) stabilizing and coating turquoise; due to its porous nature it is hard to work with therefore it is stabilized or coated by soaking the rough material in an artificial resin (wax or plastic, the plastic-impregnated stones are probably permanently improved, but waxing is less permanent), and 3) enhancing turquoise; this means dying or improving the color of turquoise. 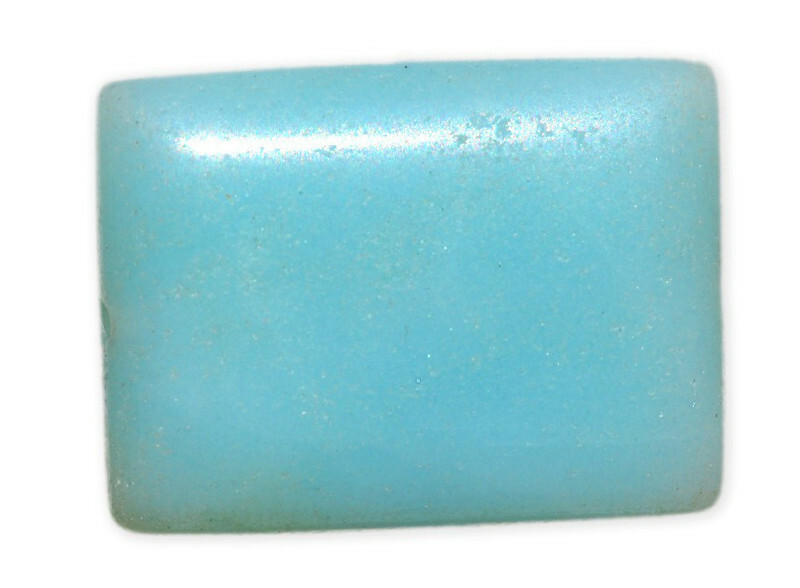 Turquoise gemstone has been used for jewellery from remote antiquity. Turquoise was used by Aztecs in mosaic work on ritual masks and other ornaments. 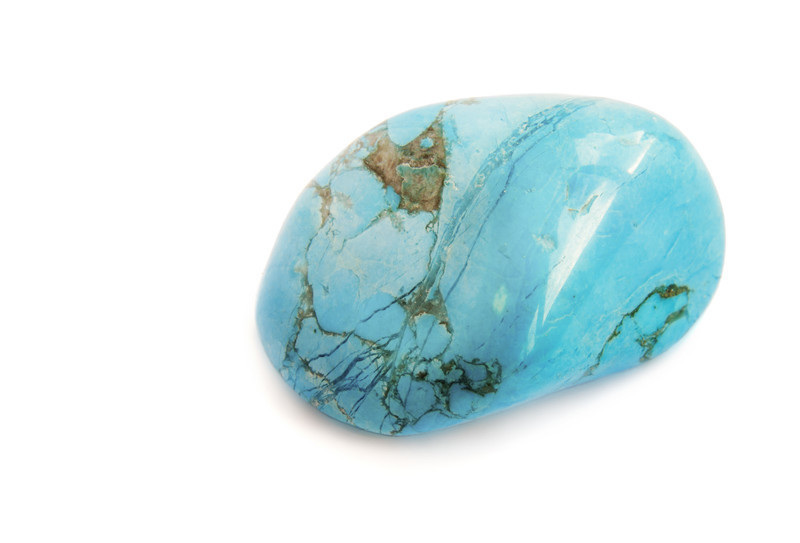 Today, turquoise gemstones are cut cabochon in round or oval from and are polished with Linde A on leather. Due to its low specific gravity, turquoise feels light in weight; therefore it is ideal for large jewellery pieces. You can shop for turquoise jewellery from link below (amazon.com) or alternatively shop from our Amazon-powered store Here. As Turquoise is relatively soft gemstone it should be stored separately in a cool, dark box in acid-free tissue papers. Turquoise gemstone should not come into contact with cosmetics, hairspray, perfume or household chemicals. Due to its soft nature ultrasonic cleaning and commercial chemical cleaners should not be used to clean this gem stone. Turquoise gemstone should not be exposed to the sudden change of temperature as will damage the gemstone by fading the color.